Is a New Bill to Protect Pensioners on the Way? 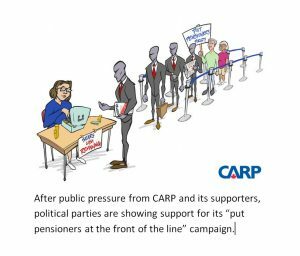 September 18th – After launching a public campaign to “Put Pensioners First”, CARP and its supporters can be pleased that this issue is gaining traction. NDP MP Scott Duvall is calling for major legislative changes to better protect pensioners. He announced plans to put forward a private member’s bill this fall to protect employees’ pensions when a company is allowed to restructure its financial affairs. If passed, the law would require companies to bring any employee pension plan fund to 100 per cent and pay any severance owing before paying secured creditors when facing insolvency. In other news, Ontario Superior Court Justice Glenn Hainey ordered that other Sears creditors in the company’s insolvency are not to be paid until the issue of underfunded pension plans and benefits is resolved. “This is a step in the right direction,” said Wanda Morris, VP of advocacy for CARP, a national advocacy association representing older Canadians. But the saga is far from over. Currently, Sears pensioners are at risk of having their pensions reduced by approximately 20% as well as losing benefits. “We need to keep up the public pressure on this issue until the laws change to effectively protect pensioners,” said Morris. CARP began fighting for legislative changes to put pensioners ahead of secured creditors after Sears filed for creditor protection in June. The company also announced it would no longer be making special payments to the defined benefit pension plan, or funding post-retirement health and dental benefits and post-retirement life insurance. More than 15,000 Canadians have signed CARP’s petition to put pensioners at the front of the line – a list of supporters that is growing daily! The petition is specifically to support two changes to legislation to protect pensioners in the event their employer becomes insolvent or declares bankruptcy. CARP urges the public to SIGN and SHARE to keep up public pressure! “Pensioners are among any company’s most vulnerable creditors, that’s why we believe they should be at the front of the line when a company seeks protection,” says Morris. Sign and share to create change. Since 2009, the government has granted 286 companies creditor protection under the bankruptcy laws, including Can-West, Bauer Hockey Retail Corp., SunEdison Canadian Construction LP, Golf Town Canada Holdings Inc., and the Victorian Order of Nurses for Canada. Canadian companies file for protection from their creditors under the Companies’ Creditors Arrangement Act. It’s a law that allows a company time to work out its financial problems. The company is supposed to develop a restructuring or organization plan within 90 so it can keep operating. As long as the act is in place, creditors are not allowed to take any action to collect money owned them. Under the act, secured creditors, including lenders and debt-holders, top the list to get their money back. Workers and their benefits are typically at the end of the line. 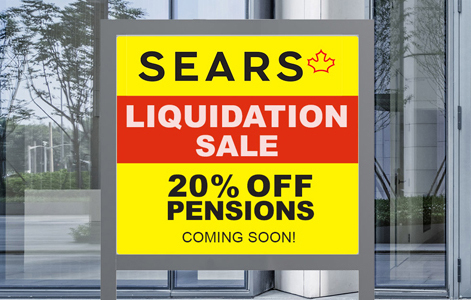 There are currently 18,000 Sears Canada employees and retirees who are at risk of losing up to 20% of their retirement income as well as their health, dental and life insurance benefits. Almost 1.3 million Canadians have corporate defined benefit pensions and are at risk if their company becomes insolvent or bankrupt. To learn more, read: Is your pension safe? CARP is Canada’s largest advocacy association for older Canadians. Its mission is to advocate for better healthcare, financial security, and freedom from ageism for Canadians as they age. Its members engage in polls and petitions, email their elected representatives on issues that matter to them, and connect with local chapters on urgent issues. 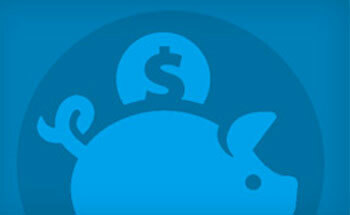 Members also receive discounts and benefits on travel, insurance, health products and more. Visit www.carp.ca to learn more.